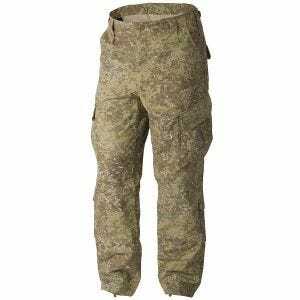 Combat Patrol Uniform (CPU), created and manufactured by Helikon, already gained a well-earned recognition among many Airsoft, hunting and paintball enthusiasts, as well as law enforcement and military professionals. This high-quality, heavy-wearing and comfortable tactical uniform is perfect for all seasons, and characterises by modern cut and high level of functionality. CPU shirt goes with a Mandarin collar, six roomy pockets with Hook and Loop flap closures, 2-way front zipper and pleated back, as well as armpit zippers for ventilation and reinforced elbows with elbow pad pockets. CPU trousers feature a total of ten roomy pockets and double layers on the backside and knees, as well as knee pad pockets and adjustable waist and cuffs. 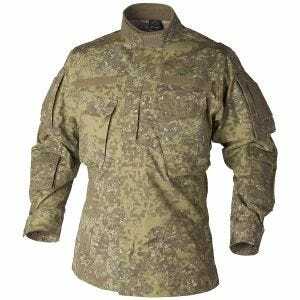 Lightweight, resistant to mechanical damage and fast-drying, the CPU uniform is available at Military 1st online store in the original PenCott Badlands camo which provides excellent concealment and protection in dry and semi-arid and transitional environments such as high plains, dry pine forests, off-season woodland or rocky, mountainous areas and moorlands.